Everything started in the UK at the Japan Foundation’s Touring Film where a friend and I watched Yuzo Kawashima’s Room to Let (1959), an ensemble comedy with a set of sometimes sad, often-times funny characters who lodge together in an old mansion overlooking a rapidly expanding Osaka. It was a thrill to see the city in the 50s and recognise places and it was a pleasure living together with that collection of characters all of whom showed an infectious desire to live and love even if their way of life was slightly wayward. By the end I felt sad that I was leaving their company after seeing their fun misadventures. Within a month of seeing Osaka on the screen I would be there in person for the Osaka Asian Film Festival (OAFF), an event which has become one of the best at catching the trends in Asian cinema first by often giving festival berths to female film-makers, political works and emerging talents. Whilst there I watched a diverse slate of stories from Filipino and Hong Kong-based film-makers but my personal highlights were watching the Japanese indie titles and interviewing the film-makers. I try to support different and interesting voices in film and I was able to find a lot thanks to OAFF. I became a big fan of Noriko Yuasa based on Ordinary Everyday (2017), her psycho-thriller which featured a seemingly normal Tokyo family turned menacing thanks to the machinations of a supernatural force. I ended up reviewing two of her earlier films in the latter half of 2018, Looking For My Lost Sunflowers and Girl, Wavering. I missed out on interviewing Yuasa which is a regret but I hope to see her again in the future. Kushina, what will you be (2018) by Moët Hayami took me from the city and into a mysterious community in a forest and I became enraptured in a wonder of the natural world Hayami weaved on screen through her strong vision. Hayami was the first film-maker I had interviewed in about five years but the whole thing went smoothly and I found her to be an intense and intelligent person who I hope will grace the screen with her vision again. Rina Tanaka’s Filled With Steam, despite some awkward comedy, nailed the nagging sense of dissatisfaction people who fall out of love experience and ends on a heartbreaking sequence that I still remember clearly despite it being months ago. The interview that followed the film screening was riotous at times as I sat across from Tanaka’s team and talked about the film. I reviewed another of Tanaka’s film, Snake Beneath the Flower Petals a couple of weeks ago. I found myself profoundly moved by the humanism of two films: Yosuke Takeuchi’s The Sower (2016), was a harrowing experience as he took time to unfold a tapestry of repressed anger, guilt, and discrimination following a tragedy and Korean-American Kogonada’s 2017 film Columbus featured the unwinding of painfully tangled parent-child emotions takes place in the same-named town in America famous for its modernist architecture. Both had emotionally potent knockout endings which left me in tears. I interviewed Takeuchi during OAFF and found him to be an intelligent and kind fellow who I was at ease with and subsequently enjoyed talking about different acting styles at one of the OAFF parties. On a similar note, I talked with Daisuke Miyazaki was back in Osaka with TOURISM, with a light and intriguing road trip with models turned actors Nina Endo and SUMIRE who ventured into Singapore. It turned into a meditation on globalisation and alienation but also the pleasures of exploration and featured a cool spontaneous dance sequence all of which I got to talk to him about during our interview. Overall, everything I wrote about showed directors with strong control of and inventiveness in narrative and mise-en-scene which made their youth-oriented stories refreshing. While in Japan I explored places I hadn’t when I had lived there from 2016 to mid-2017. There was a day-trip with a friend to Kawagoe just north of Tokyo, which is famous for it’s Edo-era atmosphere and sweets, and Onomichi just south of Okayama. The latter two are locations used frequently in older films from the likes of Yoshitaro Nomura and Nobuhiko Obayashi and I found myself tracking down certain locations used in films like Tokyo Story but the real pleasure came in just enjoying being in another culture and experiencing new ways of thinking. 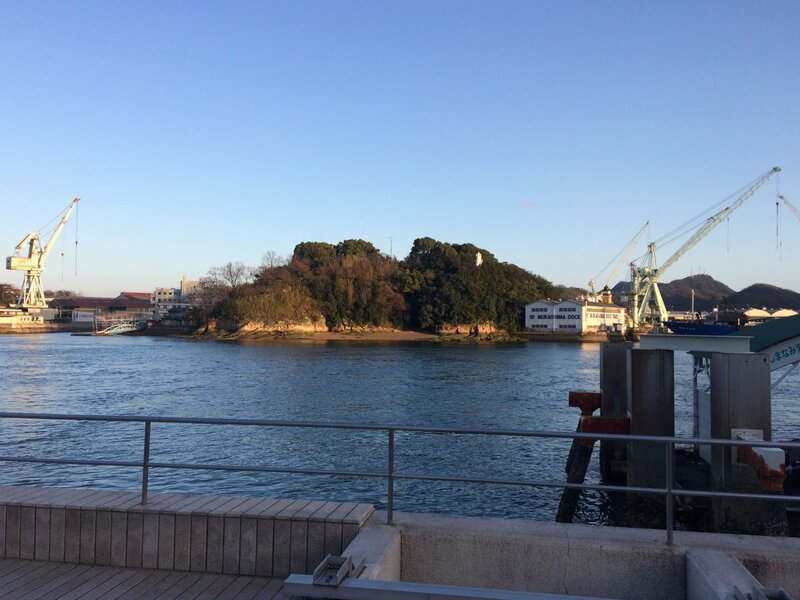 I remember clearly leaving Onomichi’s tiny station and walking amidst the hills to my lodging and then down along the port and greeting people young and old. These feelings spiked with days out at coffee shops, restaurants, shrines, temples with friends as I savoured human connections before my return to Europe. Back in the UK, I continued to work as a pen-for-hire at different festivals in various capacities and watched many films but I really enjoyed two indie titles thanks to Amiko (2018) and Of Love and Law (2017) which played as part of Japan Cuts. They come from Yoko Yamanaka and Hikaru Toda, respectively. While the first has a conventional story of first love gone awry it is refreshingly different because it features a protagonist who fizzes with energy and verve and Yamanaka’s direction matches the character’s subversive and idiosyncratic behaviour by being off-kilter and adventurous. I found it breezy and charming. It’s energetic and that’s what I like to see. Hikaru Toda’s film is a documentary following Japan’s first law firm run by an openly gay couple, Kazuyuki “Kazu” Minami and Masafumi “Fumi” Yoshida. They take the cases of anyone who does not conform to social norms and through the central pair and their work, funny, warm-hearted and loving as they are, we get a wider look at Japanese society, its conservatism and growing nationalism and see people committed to defending the rights of individuals and just showing kindness. For people around the world who worry about the lack of empathy, this is the perfect antidote. An aspect of Japan I have always loved is anime and so I worked for friend’s anime festival in September and October. Going into the event I was aware that after two years of stellar titles, 2018 saw anime studios falling back on producing entries for familiar series like Gundam. That written, female directors continued to make waves with critically acclaimed films. Naoko Yamada followed up her powerful drama A Silent Voice with the low-key but emotionally touching relationship drama Liz and the Blue Bird. Mari Okada, a prolific anime screenwriter made her directorial debut with Maquia: When the Promised Flower Blooms, a distinctive fantasy story about an elfen girl who adopts a human child. It was a visually and aurally moving experience set in a world reminiscent of Renaissance era Venice. Its look at motherhood and human connections in many forms was very moving and left myself and the audience I was with very emotional. I tried a selection of other anime with the new JoJo’s and Golden Kamuy and I’m trying to finish those off. Winter of 2018 featured plenty of films and a renewed focus on learning English and Japanese as well as French. I’ve managed to memorise a lot of kanji. We lost two acting talents in the year, Ren Osugi and Kirin Kiki and so we should remember them and others who passed away. As far as this blog goes I had set myself the goal of beating 30-something film reviews published and I hit it, finishing the year on 54. I watched many more films but didn’t publish every review. I hope to do better next year. I also featured a lot more reviews from female filmmakers and indie directors. I try and shine a spotlight on Japanese films and alert the world to unheralded titles and indies and I feel I did an okay job this year. I can always improve. I will continue to review films. There are many more and a thank you goes out to those not mentioned. Major shout-outs to friends and family across the world. You guys are in my heart. Thanks for sticking with me. Resolutions are cool but 2019 is going to be the year of making dreams real! Let’s make them happen! Positive energy! Let’s go! Happy New Year! Stay dandy, everyone! Happy new year! I hope you will be able to come back in Japan this year! Happy New Year. It was great talking about films with you in 2018 and I hope we can continue in 2019. I’m definitely going to head back to Japan – I just need to get organised!